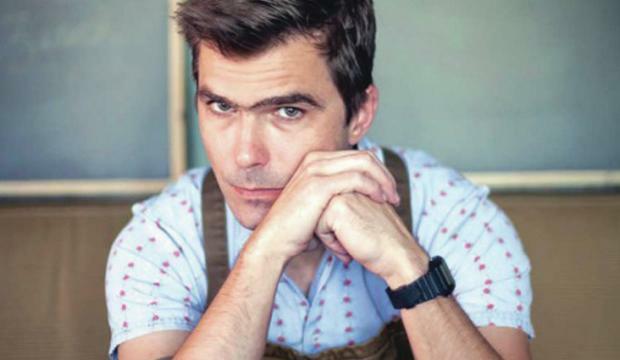 Chef Hugh Acheson knows that “cooking from scratch” is a good way to prepare a healthy meal. “We need to figure out how to get more people to do it. The slow cooker is such a gateway to getting people to cook things they normally wouldn’t,” said Acheson, the Athens restaurateur who has made a name for himself in the world of food preparation. While Acheson does not normally use a slow cooker in his restaurants, such as Five & Ten in Athens, he has now released a book showing people how to prepare well-seasoned meals at home in a slow cooker. 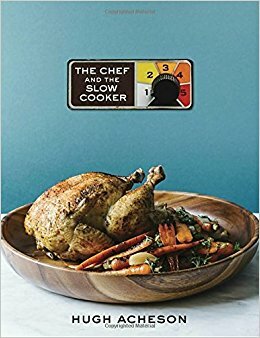 “The Chef and the Slow Cooker” was recently released by Clarkson Potter publishing and contains slow cooker recipes covering meats, seafood, soups, vegetables and even some desserts such as fig jam and peach butter. Acheson has two upcoming book signings. Avid Bookshop at Five Points is hosting a signing at 6:30 p.m. Tuesday and the Athens-Clarke County Library is hosting Acheson at 7 p.m. Thursday Both events are free and open to the public. The idea for his fourth book was tossed at him by his book editor who suggested the slow cooker was having a resurgence in popularity. “I totally agreed. I have been using one for quite some time to make stocks at home. I started thinking about the versatility of it. Most people have one hidden around their kitchen somewhere and they pull it out once a year to make a pot roast,” he said. The low maintenance and slow method allows people to go about their daily routines while their dish is cooking. “There is ample area to contemporize the food that comes out of a slow cooker and make it more relevant to now,” he said. The book contains several common vegetable dishes, yet seasoned the Acheson style. “It’s definitely my take on things,” he said. Green beans: He includes garlic cloves, cider vinegar and red pepper flakes. “Everything is to balance the flavors,” he said. Collards: The recipe calls for sorghum molasses to help create a balance between sugar and vinegar. “Sorghum is underused, but it’s an important old sweetener in the South,” he said. Cabbage: He uses two sticks of butter in this recipe. “Cabbage stands up to the slow cooker well. It’s just beginning to be cabbage season so it’s time to get on it,” he said. Chick peas and eggplant: Acheson created this dish using a pea once rarely used in the South. “We’re seeing them more and more because of the prevalence of Middle Eastern flavors that have been brought here,” he said. Artichoke & carrot barigoule: This artichoke recipe, combined with carrots, calls for a cup of dry white wine. “It’s great. It’s a French classic and it’s my variation on that. It’s pretty straight forward,” said Acheson, who also gives directions on how to cut up an artichoke. Depending on what the person is cooking, the slow cooker can take two hours or 10 hours, but this slow process for meats “breaks down collagen and makes the tougher cuts tender,” he said. The slow cooker can also be used for making apple and peach butter, old-time favorites mostly used with breakfast breads. The slow cooker creates a controlled environment for these fruits. “You can run the risk of burning them on a traditional stove because of the sugar content. When it’s contained in the slow cooker it’s hard to burn it,” said the chef, who uses the slow cooker for something other than a pot roast.